Earlier this morning I was reading The Washington Post while watching the sun rise (I have two young kids at home: I find quiet where I can). 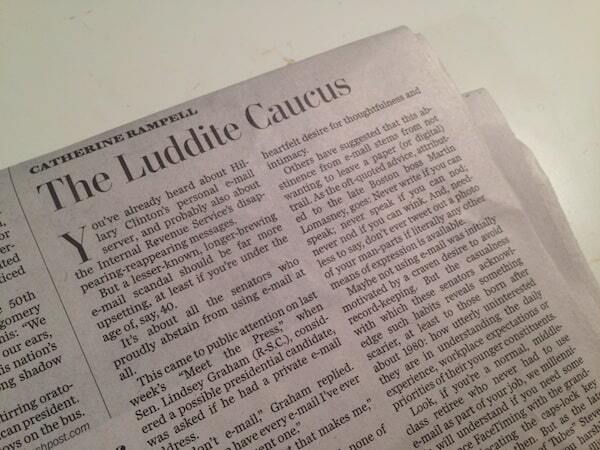 A column by Catherine Rampell, titled The Luddite Caucus, caught my attention. As I began to read, my interest transformed into concern. In the wake of the recent Hillary Clinton e-mail story, many reporters, it turns out, have been asking other politicians about their digital habits. After reviewing these articles, Rampell reports that there are a surprising number of United States senators who rarely use e-mail — a list that includes: Lindsey Graham, John McCain, Pat Roberts, Richard Shelby, Orrin Hatch, and Chuck Schumer. Rampell is shocked that so many senators “proudly abstain” from e-mail. She concludes by asserting that contemporary technology use is a “necessary” condition for understanding “good tech policy”, rendering these senators unqualified to address laws that affect technology, privacy, labor, global competitiveness, and, for some reason, immigration. As you might have guessed: I don’t buy this argument. To require a senator’s personal involvement before he or she can be either “interested” or “qualified” to address a sector of our economy is an idea that quickly succumbs to reductio ad absurdum. Only a quarter of senators served in the military. Are the rest uninterested in our armed forces? Almost no senators are farmers. Are the rest unqualified to vote on agricultural subsidies? But quibbles with Rampell’s line of reasoning is not my main concern. I’m more worried by the fact that many readers will, without much deliberation, agree with her. This idea that you must embrace everything Internet, or be labeled incurious, out of touch, or even Ludditic has become ubiquitous. This sentiment is harmful, and probably even damaging to our country’s economic competitiveness. 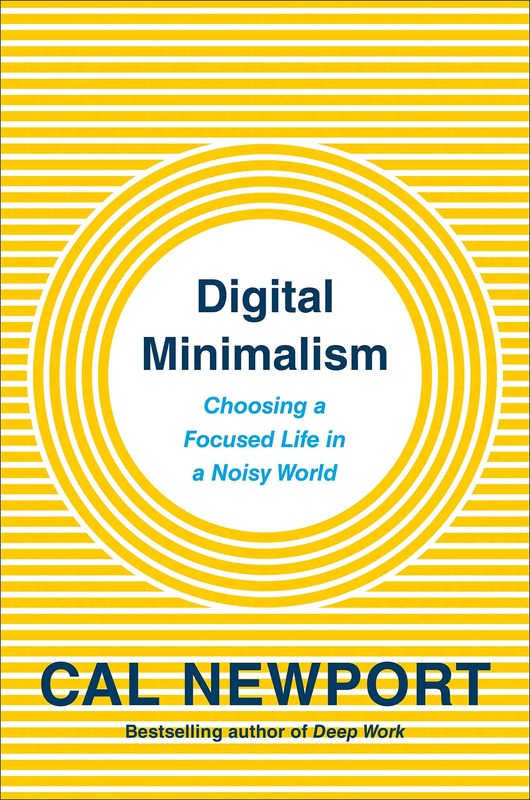 This conclusion follows from an obvious point worth repeated reiteration: not all digital tools are useful to all people. To force everyone to use everything, or be deemed out of touch, will make many people worse at what they do. Senators, for example, don’t need e-mail. Their staffs do, but the senators don’t. To be a member of the world’s greatest deliberative body means that you’re better off spending your time actually deliberating than checking your BlackBerry. Do you really think John McCain or Chuck Schumer would somehow be better at their job if they spent more time cleaning their inbox? For some people they’re indispensable. For others they don’t matter. This is what should concern us. Not whether or not I can easily find you on Gmail. Although, the president does use email, he stays away from social media in general unless he absolutely can’t avoid it. So, your thesis in this post definitely has merit. If I thought the senators were actually deliberating I might be cheered by this argument. Alas, I fear they are spending their time on fruitless endeavors: signing their names to seditious correspondence with hostile foreign governments, being lavishly courted by lobbyists who are providing them with ready-made legislation to introduce as their own, and the like. Deliberation, indeed. I thought of you, Cal, immediately when I read Catherine Rampell’s piece. I am glad you responded. I was hoping you might respond with a letter to the Post also. Email is so “broken” that it isn’t a very good communications medium for many people today. Many are finding other avenues, using project management software, posting to bulletin boards and so forth, to communicate with workplace teams.They are moving back to using the phone. My own opinion is that Rampell’s email addiction is maladaptive, and indeed she is the Luddite, devoted to a passing technology. Her suggestion that people older than Gen-Xers (or perhaps Millennials) don’t have a good grasp of technology is silly. I am 60. I started programming on an old IBM 1440 that had 12K and took up an entire room with it’s own dedicated air conditioner. I was taught by people who helped develop bomb site for World War II aircraft. I have always found that we have a lot to learn about technology from those who have been around long enough to see it develop. Here is an example: Many young folks (including those Rampell’s age) are terrified to use the command line on their computers–or don’t even know it exists. However, even a casual user of an early 1980s PC would have already used a command line without the overlay of the Graphic User Interface (e.g. Windows) that so many users under 50 can’t live without. However, the most savvy computer-users, of all ages, know that proper use of the command line can enable them to work true magic, with very high productivity. The devotion to email is, indeed, yet another example of people who know how to use a hammer trying to see everything as a nail. It would not be hard to argue that time wasted on email helps explain why the productivity boost that was promised with the introduction of the PC to the workplace took a very long time to show up in the GDP and productivity statistics for the economy. I share your views, and note in the second paragraph that she suggests that those under forty will understand. She says the same thing later in the article. She may have something of a point there. Most people I know who don’t use modern personal devices are in my generation. I still don’t have a cell phone (my wife does), but that is largely because Internet costs are high here for that service. But I wonder… if we were talking about the time when printing made books universally available, would we think those who are not interested in them were out of touch? I feel that way today about people who don’t read–I not only wonder how they can be successful, but about the richness of their lives. In many ways computers and associated technology has greatly enriched my life, including occasional forays into the social media. There may be more to her criticism than meets even her eye. I am twenty-eight, and I agree with this post, not the quoted article. I recently quit Facebook and LinkedIn because I felt that they were distracting me from becoming better in my field (and from participating in my life, in general). I conscientiously weighed the value of Facebook and LinkedIn against the burden of using them on a daily basis and had a very hard time seeing any value, much less enough value to make up for how distracting and burdensome they are, so I quit. I am trying to be more deliberate about my usage of internet technology. I have a degree in computer graphic design and web design and development, and worked in various technology jobs as both a freelancer and an employee for nearly a decade before going back to school to pursue my current career, so I know (I am guessing here) more about internet and computer technology than the average person. The fact that I do not currently use Facebook does not disqualify me from policy conversations about net neutrality, for example. I am, admittedly, atypical for someone my age, but it is not enough to say that people under forty will understand. I think this gets at the heart of the issue so is worth discussion. My current take is that the (delivery) medium is different than the message (apologies to McLuhan). For example, if a senator declared he had no interest in Asia, that would be a problem. If he instead declared that he preferred written briefings over in-person briefings on Asia, that shouldn’t bother us. The delivery medium is not that relevant. Similarly, I think a senator can be engaged with the technology sector of our economy without using a particular tool, like e-mail. Especially if that tool is not really that well-suited to the particulars of his job. To return to your written word example, the issue would not be whether or not someone embraced the medium of printed text, but instead whether he embraced or ignored the world of ideas they make available. Yep, That’s just a tool. they just want to stay focus on their work, and they hate distraction. Love. Great start to my weekend. Thank you. > Only a quarter of senators served in the military. Are the rest uninterested in our armed forces? > Almost no senators are farmers. Are the rest unqualified to vote on agricultural subsidies? I think this is implied, but I actually think people should have experience in something to formulate a qualified vote. If they’re voting on behalf of millions of people, then we’re in an age where I think we shouldn’t settle for a system that’s founded on laws in the 18th century when the US population was 3 million (not 300 million). With the current political system is this possible? Probably not. This means having more representatives that specialize in specific areas vs. one generalist, which means change. Nevertheless I think it’s the right answer, political constraints aside. I think the primary distinction between things like military and agriculture is that they are not universal day-to-day. Email, however, is something most people utilize because it is nearly ubiquitous. Many senators are involved in extremely critical internet-related pieces of legislation and the universality of things like email help to reinforce the impact of those laws. I don’t believe we should/could mandate its usage, but from a purely forensic standpoint, there are also issues of accountability. Miss Clinton’s latest jump into the media illustrates the truly significant role such technologies play and the dangers of their abuse. My name is Prem, and I’m a high school senior entering college with the intention of attending medical school. 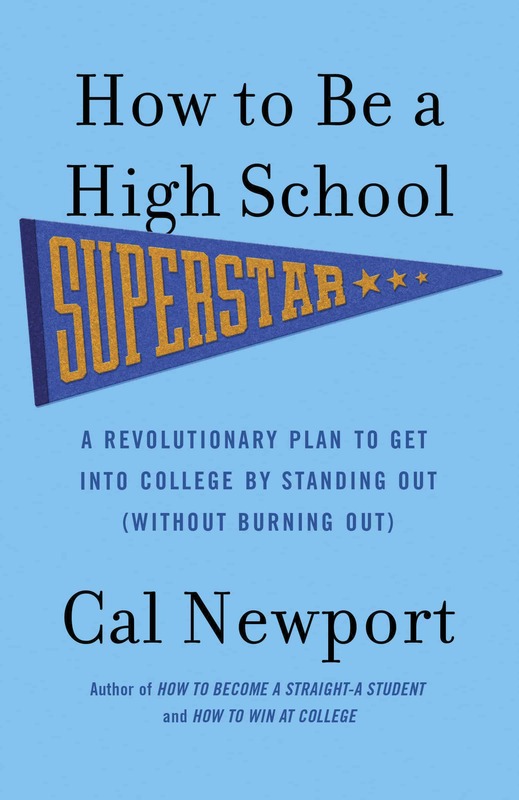 I love the advice you propose on living a low-stress, interesting life (I read “How to be a High School Superstar”). I also read you med-school related post, “Is low stress med school admissions possible?” but am asking for a bit more tailored advice. 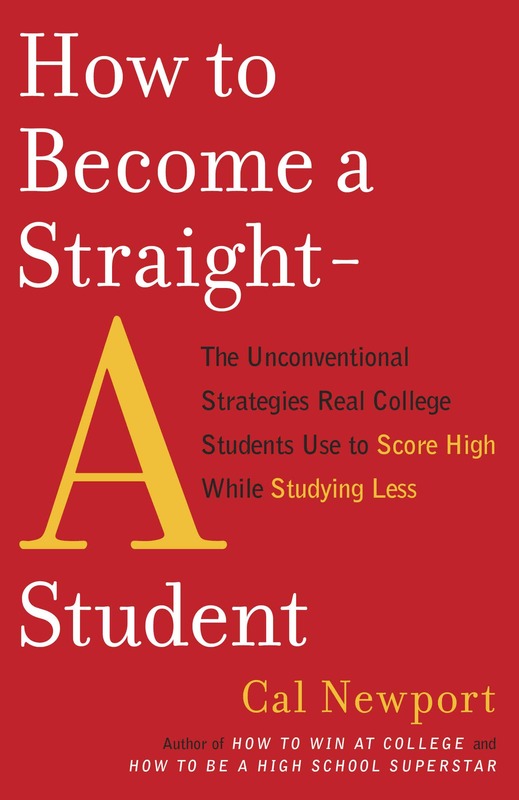 What do you suggest pre-meds do in undergrad to add to their impressiveness factor? 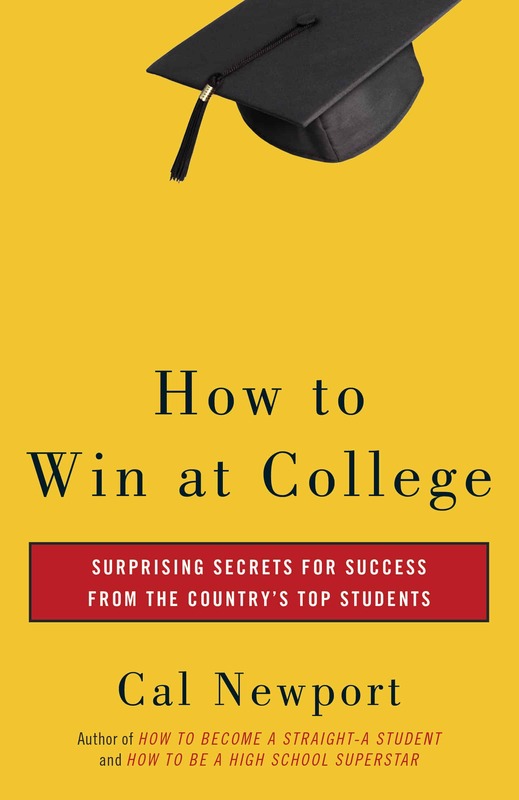 From what I understand, med school admissions either want the “next Mother Teresa, next Surgeon General, or next Nobel Prize winner” and I believe that achieving this level of impressiveness is not possible by following the “Low Stress” model. My goal is to become an insider in biology research and gain impressiveness through research opps, but I feel that is not enough for the top medical schools. I am very interested in health/wellness + entrepreneurship and was wondering if you had any suggestions on steps I could take to gain interesting opportunities in this field. I am also interested in starting a health & wellness blog in college. If there is any insight you can provide, I would greatly appreciate it. Not Cal, but I am a current med student. Don’t get stressed out already! You only need to focus on a few areas – GPA (very imp, esp the premed classes), MCAT (very imp) volunteering (do only 4 hrs/week or so your first year and let it accumulate throughout undergrad), research (publications etc look very impressive for top tier schools -could start the summer after your sophomore year). You could add on one club for extracurriculars learn leadership/communication skills throughout undergrad. Focus on the above, and a top tier med school would love to have you. I think it’s OK that some senators don’t use email, provided they can get their job done, but I don’t believe that Sen. Graham would be qualified to speak about “privacy, technology, and the law” if he has never used email. That’s what I think a lot of people are up in arms about—the lack of email use is a sidenote, but a “luddite” (using Rampell’s term) in most cases doesn’t have the domain knowledge to use technology, let alone make recommendations on it as a part of the Senate Judiciary Committee. Jurisdiction [of the Subcommittee on Privacy, Technology and the Law]: (1) Oversight of laws and policies governing the collection, protection, use and dissemination of commercial information by the private sector, including online behavioral advertising, privacy within social networking websites and other online privacy issues; (2) Enforcement and implementation of commercial information privacy laws and policies; (3) Use of technology by the private sector to protect privacy, enhance transparency and encourage innovation; (4) Privacy standards for the collection, retention, use and dissemination of personally identifiable commercial information; and (5) Privacy implications of new or emerging technologies. But, as Cal pointed out, at what point does this sort of logic start and stop? As he suggested, based on this type of reasoning, 3/4 of Congress is not qualified to speak on matters regarding military. I doubt many of them have spent much time in the field or lab as an environmental scientist. Does this make them ill-equipped to make legislative decisions regarding conservation? The point is, people like Congressmen tasked with making policy decisions on such a wide array topics that it is impossible to expect them to have hands on experience with all of them, much less be experts on them. To expect otherwise would be ludicrous. Theoretically, they should be supplementing their knowledge and experience with reports, briefings, consultations with experts, etc., and make an informed decision based upon their findings and judgements. I think the bigger point here might be that many of these senators not only don’t use email, but they are very ignorant on technology in general. Obviously I don’t personally know a lot of senators (okay, I know zero) but our age is changing tremendously and law makers that are ignorant of technology are not going to be able to make good laws. Just consider the Redigi case where a judge used “phonorecords” as part of his ruling. I’m not saying that the judgement was wrong (I’m not a lawyer) but if you’re going to rule on a digital music case in 2013, you should probably use different case law than a 1976 law. Maybe I’m wrong and these senators are very well versed in technology and therefore qualified to make law regarding it, but I’m pretty skeptical. That’s why their not using email may be important. You should perhaps write a post on finding time for deep work for 2–3 hours at a stretch while having/caring for small children at home! Will certainly help new parents like me. I find that time at the office! Actually, in John McCaine and Chuck Schumer’s cases, anything that reduces “productivity” would be an excellent thing. While I agree with your sentiment that Congress need not directly use technology to understand its implications on society and the economy, I worry that actively abstaining from technology has resulted in consistently bad results based on a misunderstanding of technology and the internet. I’m in the the legal sector (patent law, internet law, and cybercrimes), and it really worries me hearing Supreme Ct. clerks asking for advice on how to dumb down how technology works to explain the topic to Justices to the point that the topic becomes so diluted that the Justices are ruling on multi-layered metaphors (e.g. fourth amendment protection for tracking is largely still ruled by law relying on physical rather than digital access to the citizen or their possessions). Many judicial opinions have been greatly flawed because of a lack of understanding of the mechanisms by which technology and the internet in particular function. Congress does not fair much better in making accurate decisions as they will ordinarily make sweeping proposals that would have unintended consequences (see SOPA and PIPA) or punt the topic and rely on the FCC or the FTC to regulate till their rules are challenged. I don’t believe that everyone must use all forms of tech or be particularly tech savvy, but when Congress and the Court have consistently failed to make well informed decisions on tech topics I can only conclude that Justices and Congress(men/women) need to at least take more time to develop an better understanding of the topics than simply claim a luddite status to veil their ignorance. This is an argument for being better informed on a pressing issue. I agree with that. But forcing someone to use e-mail is not a reasonable way to induce smarter thinking about SOPA. – army: 10yrs of service or reading various reports, visiting a few bases and having some conversations with various people involved? – agriculture: 10yrs of employment or reading several reports, visiting a few companies and having some conversations with different people involved? – email/social media: 10yrs of daily use/presence or reading several reports, visiting/exploring once the various sites and having conversations with different people involved (users, developers, entrepeneurs) ? What’s interesting is how using (or as Cal points out, deify) email or any other internet related technology is being confused with values. If Cal doesn’t use Facebook does he have no concept of modern relationships? Is he incompetent to operate in the modern world and goes friendless down the alley of loner despair? Obviously not since he’s definitely a cool dude. And likely has many friends. The internet is not in itself a human value. Its use doesn’t guarantee deep knowledge (as Bob mentioned), or education, or morality, or understanding of the human experience, or one’s ability to govern. The internet is a human achievement, sure. But Cal is right, the internet is a tool. We must remember that. Right on. Evgeny Morozov writes eloquently about this in last book. He notes that “the Internet” has become an ideology. That is, to be more like or more involved with “the Internet” is to be better than otherwise. He emphasizes that the reality is that the Internet is a “rather uninteresting” collection of wires and routers. Questions of values and efficacy still need to be tackled in their context, and are complicated. You can’t, for example, just say, “use Internet stuff like e-mail and social media and you’ll be on the cutting edge.” The real conversation about our evolving economy is much more nuanced and complicated. It has to do with productivity and automation and international competition, and any number of other factors. I think a lot of people get a cheap sense of profundity through blanket support of all things Internet. But real solutions require a lot more work than being quick to sign up for SnapChat. The distinguished Reporter doesn’t understand leadership at a high level. They should be spending time on the big issues and not minutiae. And e-mail is minutiae. Besides most people who use e-mail don’t know anything about good tech policy. Probably including myself and the reporter. There is a huge difference between being familiar with what the Internet provides and having served in the Armed Forces or being a farmer. You know what a soldier and a farmer have in common, they both use the Internet. The Internet provides a means of connecting and communicating with others and people use it across the board almost regardless of their career to perform numerous tasks. These tasks are far-reaching and include online banking, managing finances, paying bIlls, seeking employment, applying for college, shopping, comparing products and services, obtaining more comprehensive information about businesses, learning, registering automobile registration, reading the news, reading what our senators and representatives are accomplishing or addressing as described in their personal websites, arranging travel plans, entertainment, sharing information with others, accessing medical records, making appointments, checking the hours a business is open, get an idea of what a business sells, et al. Never having accessed the Internet, my Mom knew what could be found on the Internet. Whenever she wanted information, she’d tell one of her children or husband, can you look online and find out…? If we have senators or representatives who don’t use the Internet and are not familiar with the information available and how using the Internet can make so many things more efficient and saves people time, they’re missing out on a basic tenet of our society, rapidly expanding worldwide, including emerging markets. Of course we don’t want them to spend all their time on the Internet and if they prefer staff to manage their email, great. To represent us, the people, our elected government is remiss in remaining complete Luddites in this day and age when our economy, our government, banks, the business world, education, thoroughly integrate the use of the Internet. As far as social media, I would rather our President use appropriate Internet resources as required for his job responsibilities. Obama rarely tweeting now isn’t because he’s not Internet or social media savvy. This president used Facebook as one of the means in the grass roots movement which propelled him onto the world stage and into the Oval Office. Pretty sure that trumps any other politician’s use of social media. To be its a bunch of older gentlemen (and women) that technology has passed. To the older readers of this blog, how many of us have said – I’m too old for that latest social media app. 🙂 But email, its become a primary communication tool that has been around for 25 years. Maybe they were hoping this fad would pass.